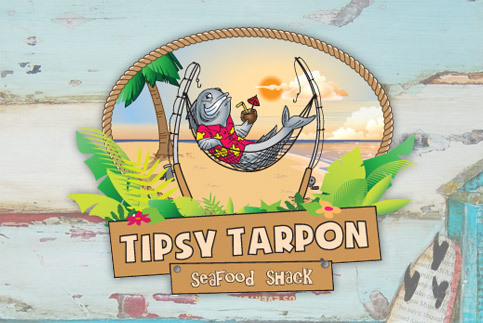 We recently completed a logo design / identity for a new restaurant set to open in Miromar Outlets in Estero, Florida, “Tipsy Tarpon, Seafood Shack”. Our client asked us to create an illustration to be the main element of the identity, and so we began sketching some ideas on paper. we quickly arrived at the idea of a tarpon character chilling out on the beach, ironically using two fishing poles as support for a hammock net. 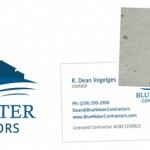 The overall image we created matches the laid back style intended for this new restaurant. We soon moved into the coloring and digital drawing phase where we take our sketches and create them digitally and into vector files. 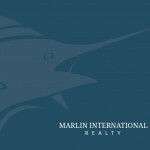 After a few revisions, we completed a really great new identity for Tipsy Tarpon, and our client couldn’t be happier.